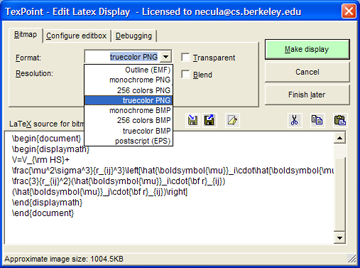 Latex images keep their source, for later editing. Andreas Glatz (Argonne National Laboratory). 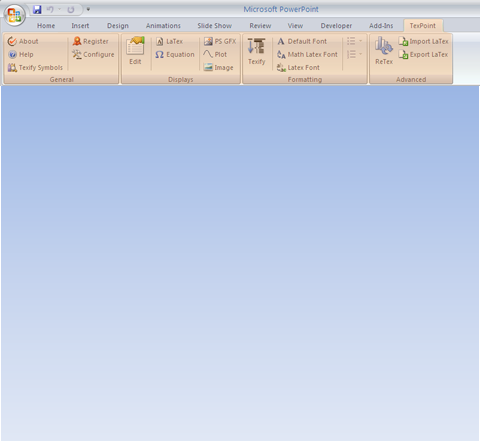 I've found TexPoint invaluable. It makes it a breeze to rapidly write and revise technical presentations. A+ for usability and attractive results. William Whyte, CTO, NTRU Cryptosystems. I have been using TexPoint for years and it makes my life much easier.